Click the button below to add the Raspberry & Cherry Chocolate Almonds to your wish list. 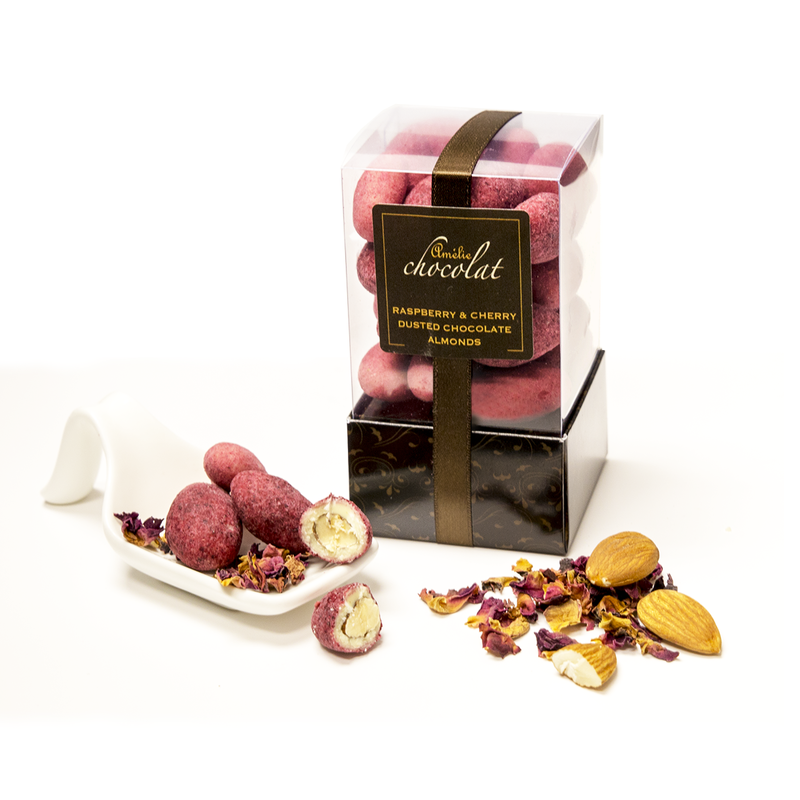 These deliciously plump roasted almonds are double coated with layers of creamy white Belgian chocolate and contrasting dustings of tart ground raspberries and cherries. A delectable and very moreish treat that makes a wonderfully unique gift or indulgence! Presented in our stunning new designer cube and finished with your personalised message card.